As far as I recall 2010 brought me quite a lot of ‘hipster approved’ music. And to be honest, bands such as Local Natives, Caribou, Balthazar, Sleigh Bells, Suuns and Warpaint showed a lot of promise back then. The press however was most jubilant about the all-female art-rock outfit, Warpaint, coming from Los Angeles. Surely the involvement of former Red Hot Chilli Peppers guitarist John Frusciante had something to do with that. Initially he successfully helped Theresa Wayman (vocals and guitar) et al to create a trendy, but also out of the box, post-punk sound. 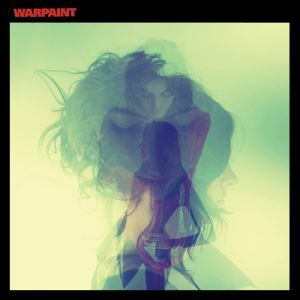 Warpaint’s first full length album, The Fool, was therefore deemed to become a self fulfilling prophecy of success. The Fool confirmed this status and stormed the 2010 indie charts and also received some favourable reviews for being swamped with moody chords and haunting vocals. However, where do we go from here? Extending a successful phase by simply releasing a new record isn’t an easy task. For their colleagues Sleigh Bells and Suuns the follow up proved to be a troublesome struggle. Indeed this doesn’t automatically mean another, more negative, self fulfilling prophecy for Warpaint is opening up. So lets give the eponymous second album a spin and hear if they’re able to enchant listeners once again.